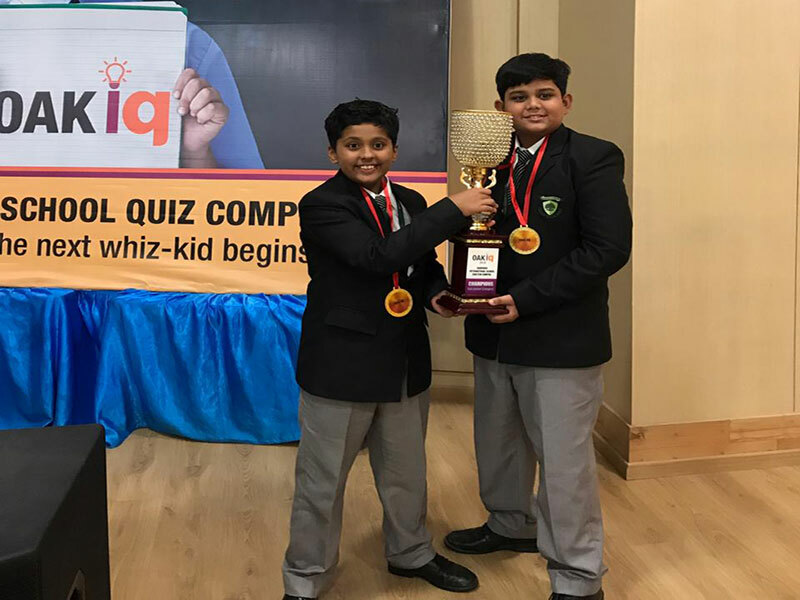 Shaurya Bhasin of Grade 5 and his team and classmate Aarush Verma won the OAKiq 2018 GRAND FINALE, the All India National Quiz competition in Sub-Juniors category held in Oakridge International School,Hyderabad on 1st Dec 2018. The smartly dressed boys from Greenwood High competed with students from across the country and were able to lift the majestic trophy. The winning team got a ‘Certificate of Achievement’, medal, team cash prize of Rs.10,000 and a trophy for the school. CONGRATULATIONS TO SHAURYA AND AARUSH ! !